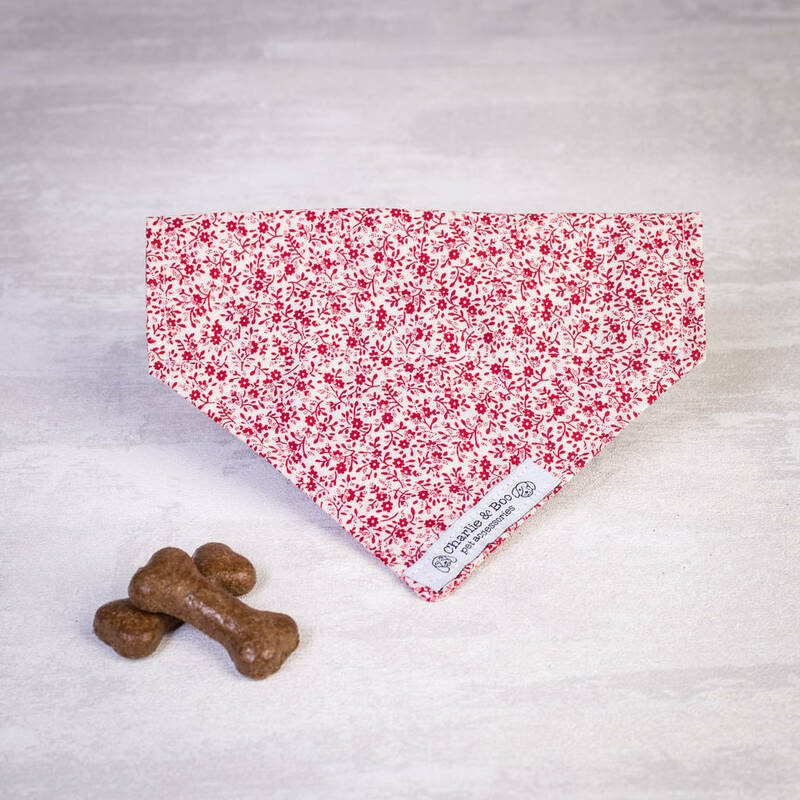 This superb red and white floral slide on collar dog bandana is a perfect addition to any boy or girl dogs wardrobe! Our dog bandanas are a great gift for mans best friend! 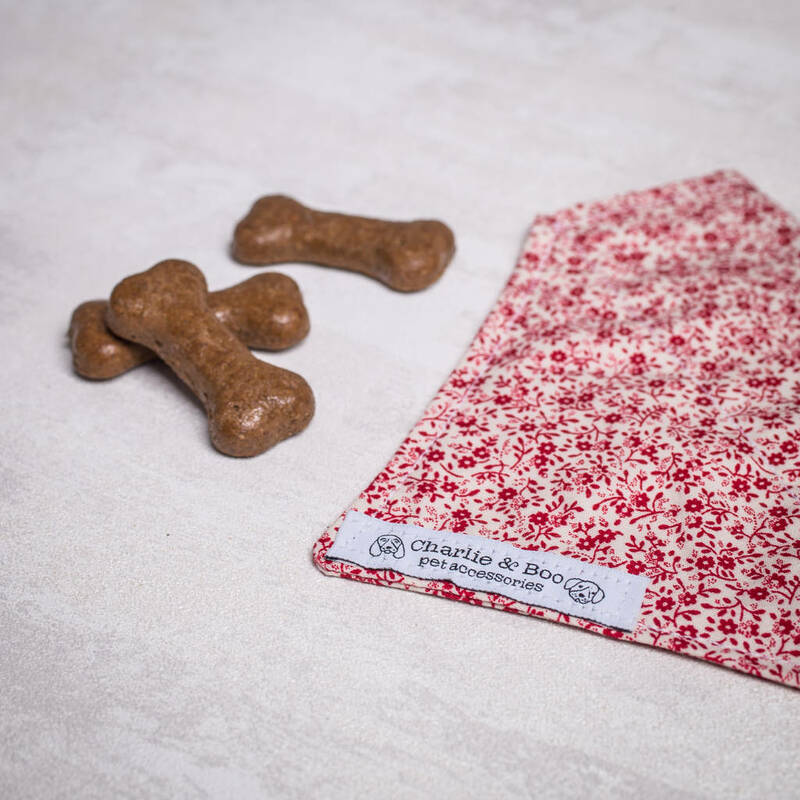 If you are looking to treat your own dog or a gift for a friend or family members dog or a new furry addition to a family then look no further! you can even add a matching collar and lead! 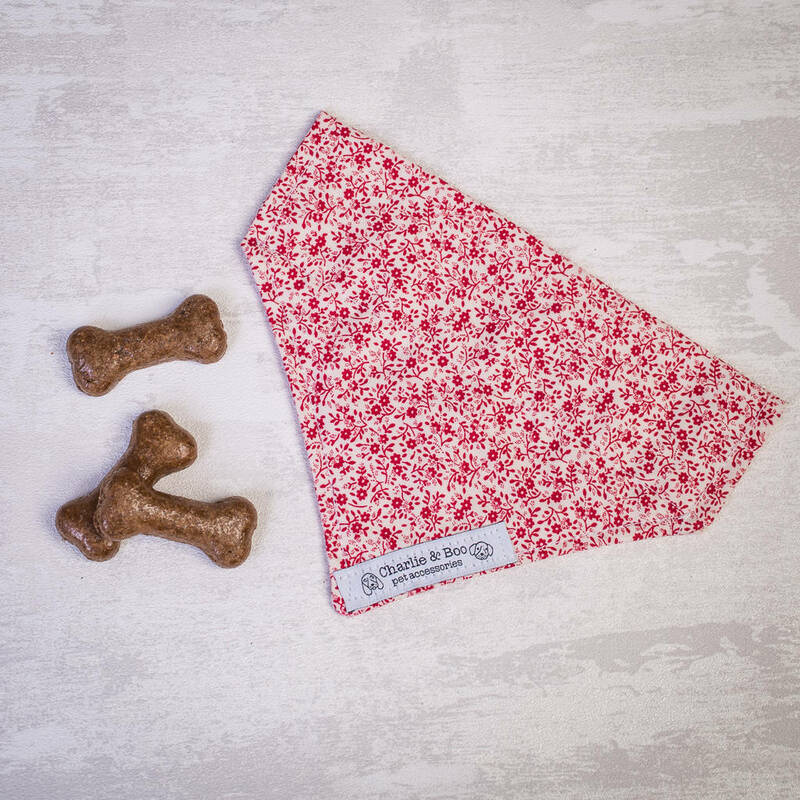 Our bandanas are designed to slide on to your dogs collar in a very simple and stylish matter. All our products arrive tissue and ribbon wrapped. Machine wash in mild detergent at 30 degrees. 100% cotton fabric, high quality thread. This product is dispatched to you by Charlie and Boo.